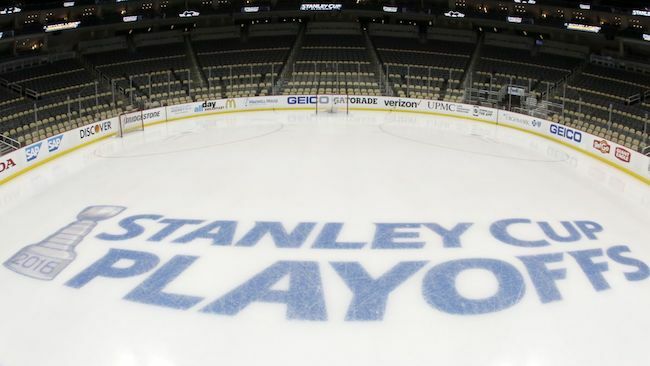 The Stanley Cup Playoffs start next week and our Hockey Playoffs Pools are now open! Pick all the playoff series winners and number of games for each series, plus 5 players to earn points for goals and assists. Give your pool a name, type a message to your poolies, submit and go. Join the pool yourself, and then invite others by sharing your unique pool link. Consider doing a fundraiser for your kid's sports team or a local charity. Let me know if I can help you make it a success. Join now and you can edit your picks any time up to the entry deadline. The playoffs start next Wednesday but the deadline for all of our hockey playoffs pools is Friday April 12. Playoff seeds are updated daily. If there are players not listed as options that you want included, then let me know so I can add them. Thanks and see you in the pools!